The IoT market is one of today’s hottest and Vodafone has attacked it by launching a new service allowing consumers to connect home devices to the Group’s own IoT network. V by Vodafone not only supports the connection of IoT products but also offers and range of new offerings, including a connected car dongle, a 4G security camera, a pet location and activity tracker and a bag location tracker. He said that the new service would offer users more choice. “V by Vodafone” makes it simple to connect a wide range of IoT-enabled devices, helping customers keep everyone and everything that matters to them safe and secure” he added. 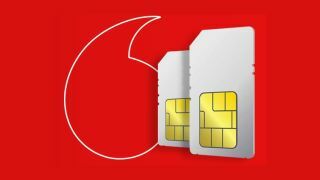 The V by Vodafone range compromises: the V-Sim card, which will be sold as standard with all IoT products from Vodafone; the new app, allowing customers to manage all their devices from their phones and connection to the Vodafone IoT network, all coming under the umbrella of a single plan. Additional products will include V-Auto offering a range of features to drivers, including a vehicle locator; V-Pet to help locate lost cats and dogs and V-Bag to help find lost bags. This Vodafone video provides with a good example of what can be achieved using this new service.